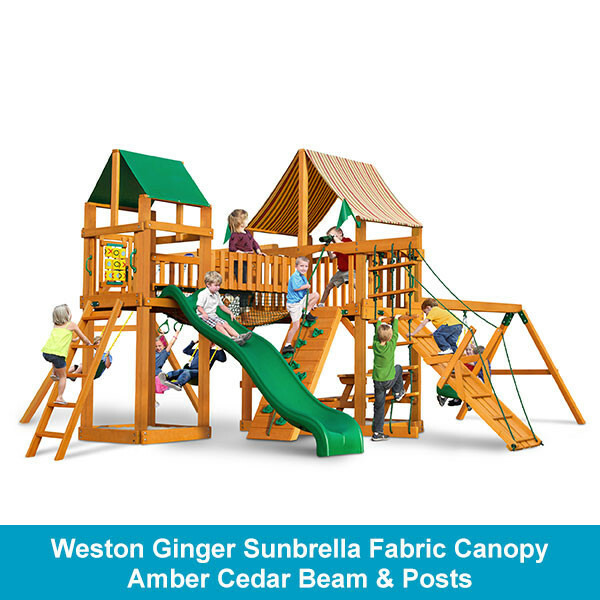 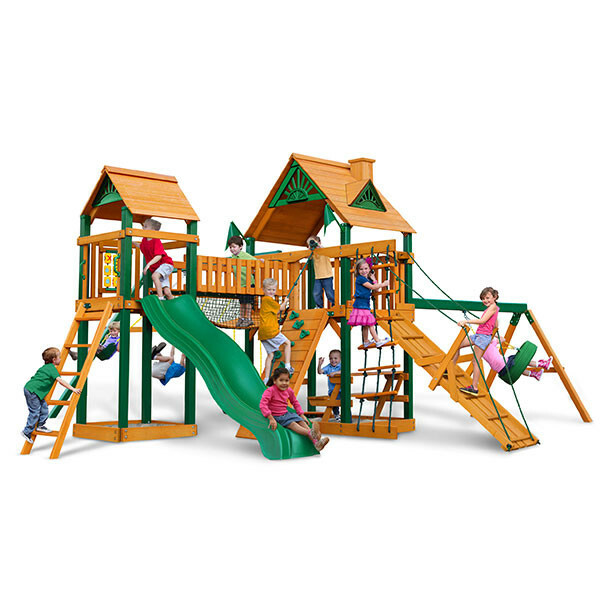 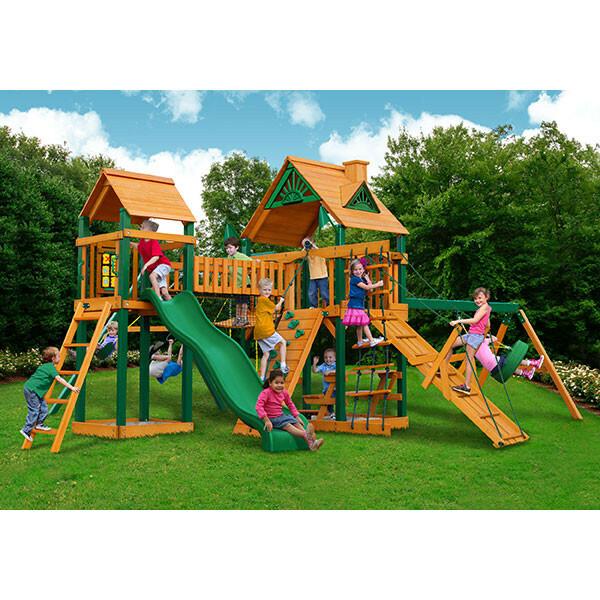 Packed with tons of adventure, the Pioneer Peak play set is the perfect addition to the backyard of any family with kids. 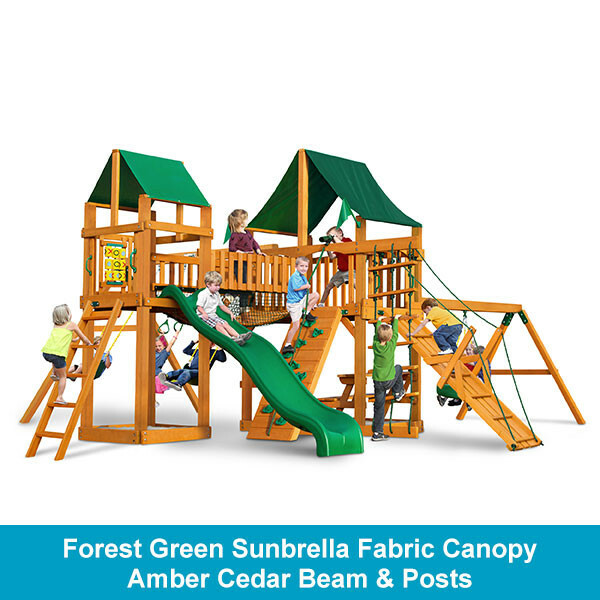 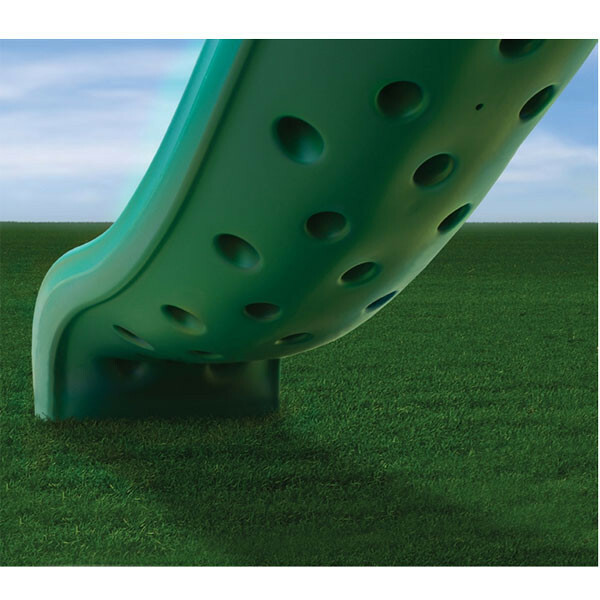 A unique play system from Gorilla, this wooden swing set will provide hours of fun and imaginative play. 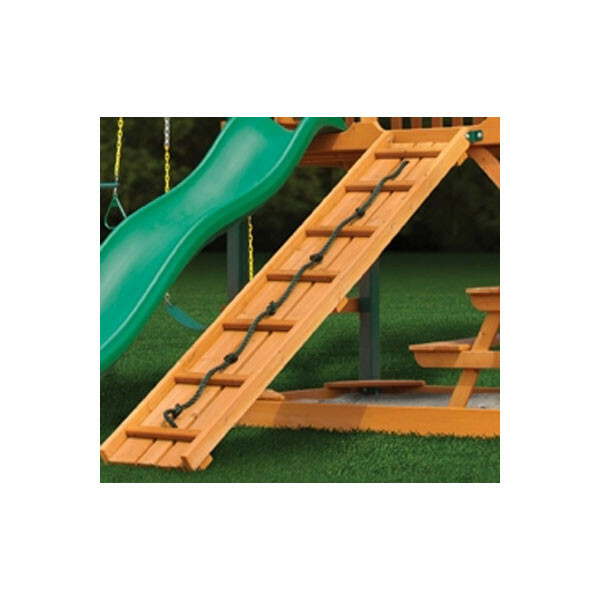 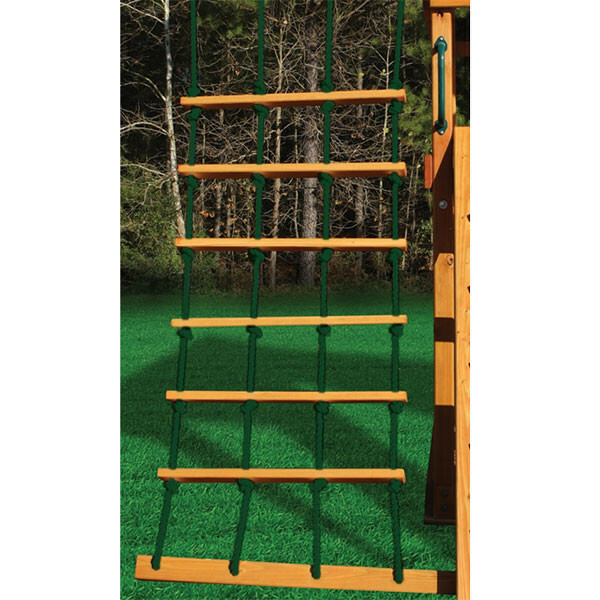 Kids can climb to the 4x6 play deck using the rock climbing wall with a rope, the climbing rope ladder, or the climbing ramp that also has a rope. 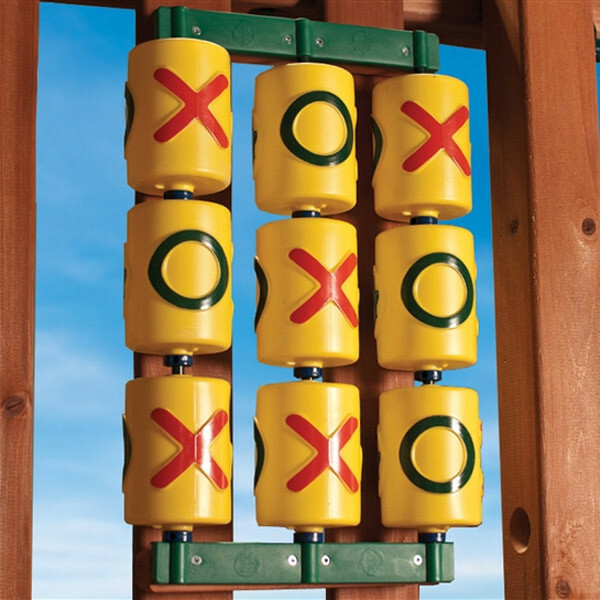 Running across the clatter bridge to the lookout tower will bring smiles to any kid's face where they can play with the tic-tac-toe panel or slide down the wave slide. 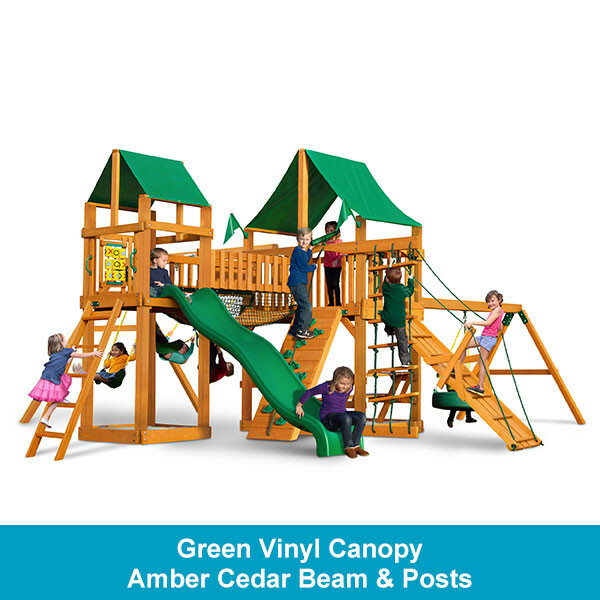 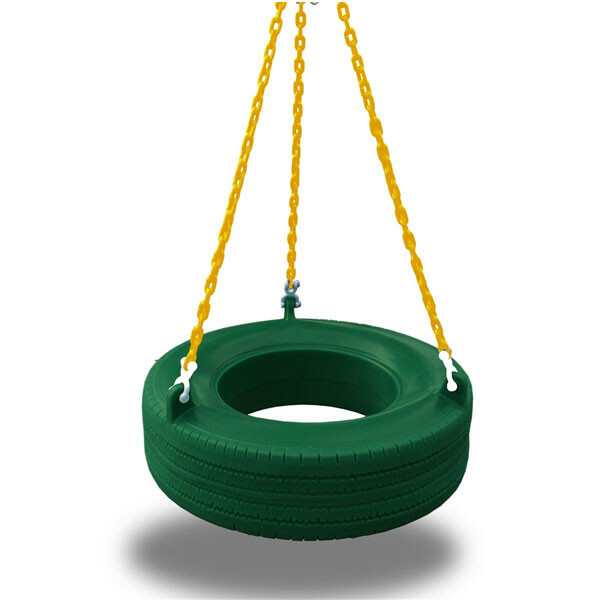 Just when you thought they couldn't have any more fun, kids can take advantage of the two swings, trapeze bar, and the cool 360 swiveling tire swing. 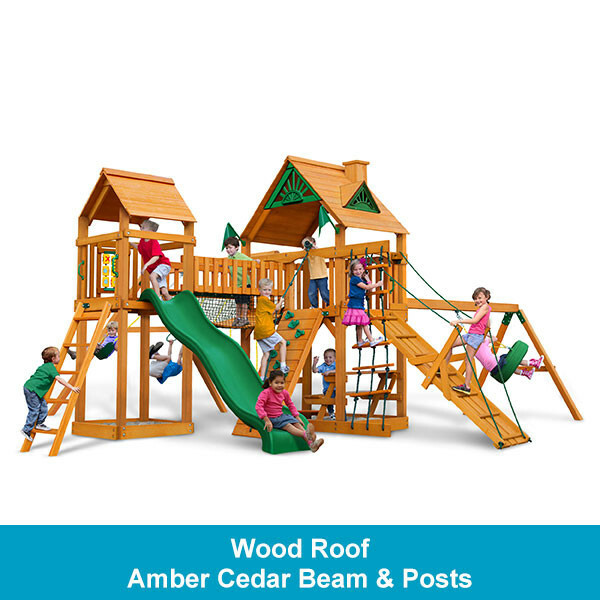 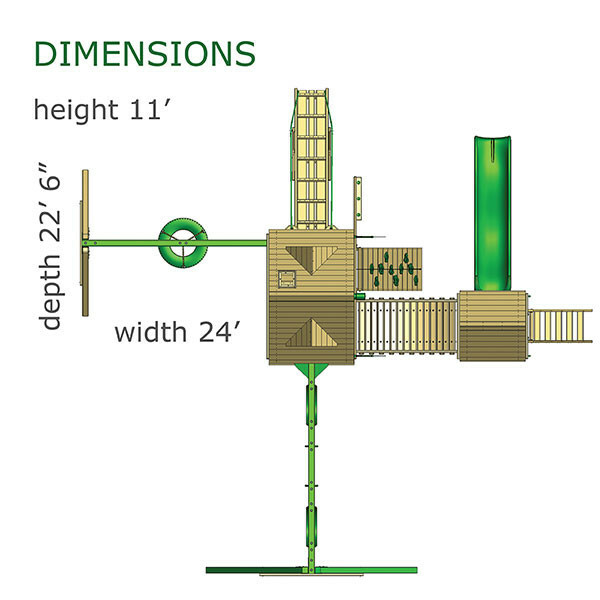 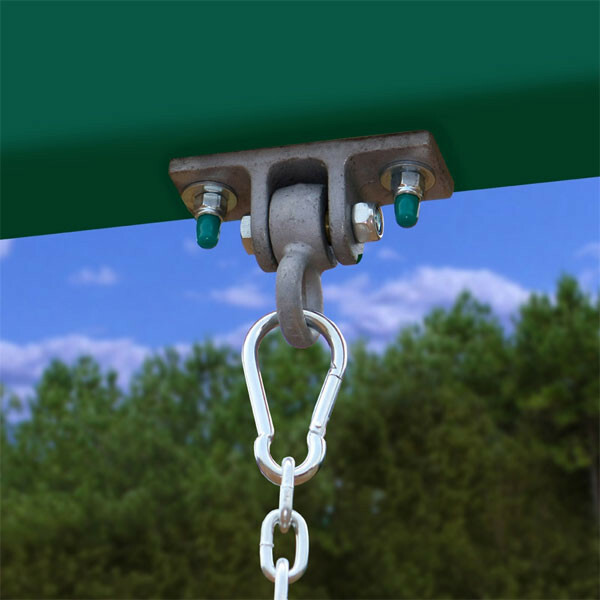 All of these numerous features are constructed of quality preserved pine beams and durable plastic and coated metal hardware. 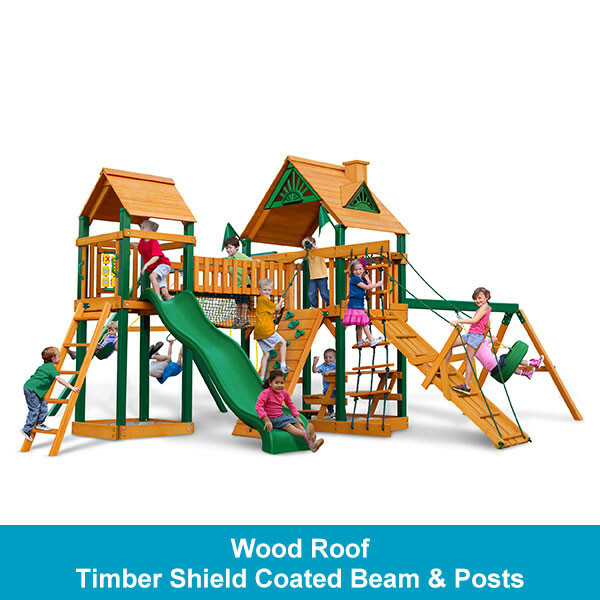 The Pioneer Peak also comes with four different choices of a roof to fit your taste. 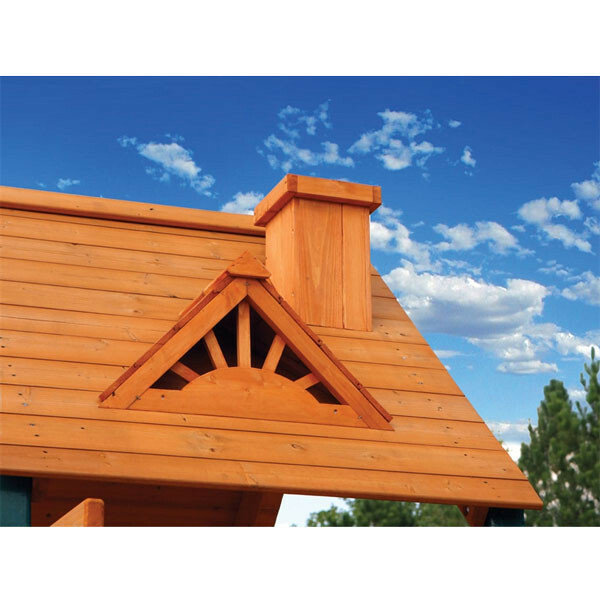 The original features the attractive wood roof with dormers and a chimney. 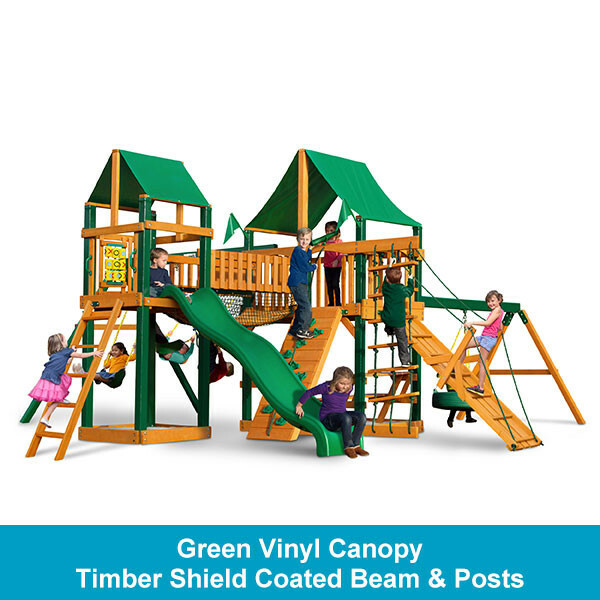 You can also choose from a green vinyl canopy or the new Sunbrella fabric roofs that are durable, vibrant and easy to clean. 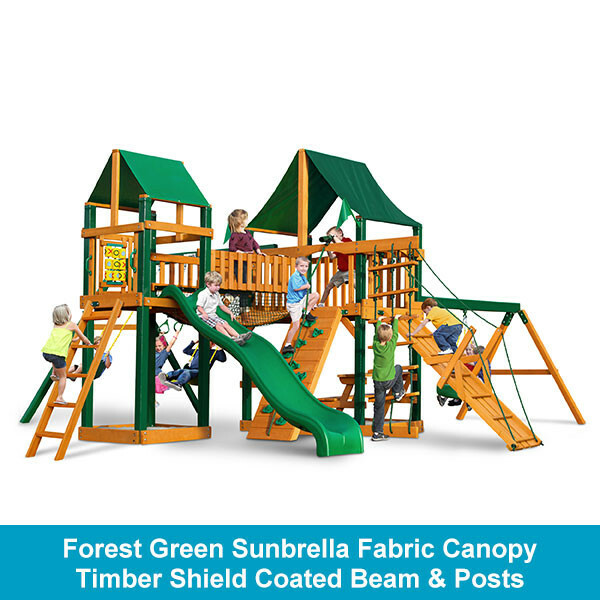 The Sunbrella fabric option comes in Forest Green.